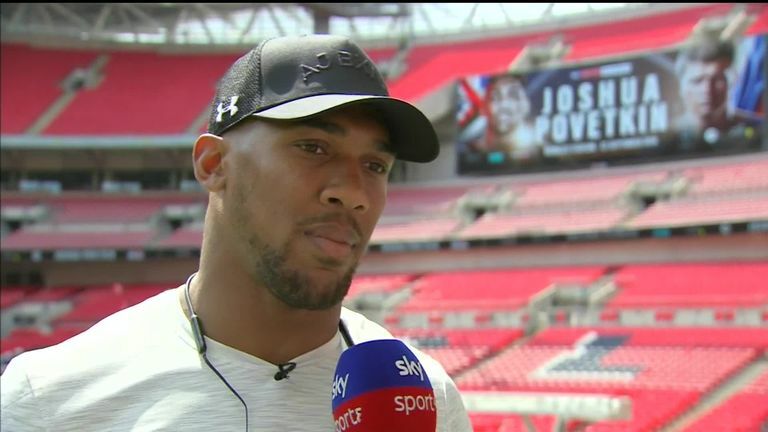 Anthony Joshua is back at Wembley Stadium again when he takes on Alexander Povetkin. Anthony Joshua v Alexander Povetkin (World Heavyweight Title) will take place at Wembley Stadium, London. Luke Campbell v Yvan Mendy (12 Rounds Lightweight), Matt Askin v Lawrence Okolie (British Cruiserweight Title), David Price v Sergey Kuzmin (10 Rounds Heavyweight) and Shakram Giyasov v Julio Laguna (8 Rounds Welterweight) are on the live undercard, with more to follow. The event will start at 6pm, Saturday, September 22, on Sky Sports Box Office (Sky channel 491) and Sky Sports Box Office HD (Sky channel 492), until 1am, Sunday, September 23. The event price will revert back to £19.95 / €24.95 (ROI) from 1am, Sunday, September 23. Two repeat showings (full duration) will be shown at 9am and 4pm on Sunday, September 23. No matter what channel you are on, press Box Office, select Sports and Events. Use the arrow buttons to highlight the event. Press select, and the buy screen will be displayed. Press select to confirm your order. Enter your pin if prompted. To order the event, call 03442 410888 (0818 220 225 from ROI) (there may be a £2 booking fee for telephone bookings). There is a £5/€5 surcharge for bookings made via the phone from midnight, Friday, September 21, to 1.00am, Sunday, September 23.